I had this picture from last year that I love. So, I searched 'river' to see what verse could go with it. I read through a bunch, but this one jumped out at me. 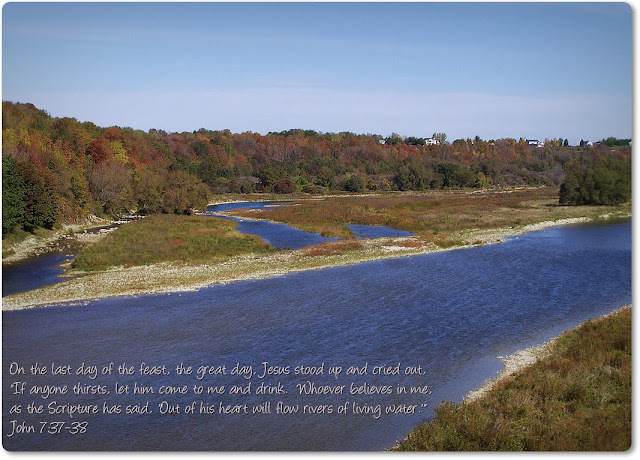 If we believe in Jesus, LIVING WATER will flow from our heart. Wow. And, not a little, but rivers of living water. I'm so glad you remembered in time this week! ;) We're certainly happy you are joining in! 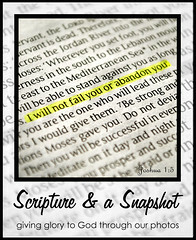 A fabulous verse and a perfect photo to go with it! This is such a beautiful picture. I LOVE the start of all of the Fall colors in it. Gorgeous! And you picked such a wonderful verse to go with it. AMEN and AMEN! Very cool! What a great verse. Wow! What a great photo and verse!